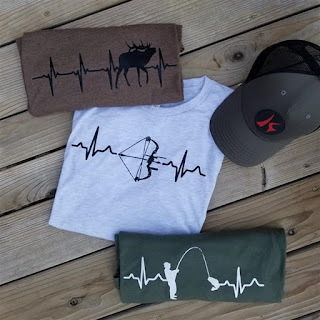 These Hunting and Fishing Tees are AMAZING and $14.99 (Retail $21.99) - shipped by Christmas. These are the perfect gift for the outdoor enthusiast in your life! Traditional fitting tee with 4 color options to choose from! Get a head start on your Christmas shopping and grab yours before they're sold out! Unisex sizing-so great for a guy or girl!